Shriram Insight is looking for YOU. Come, follow the LEADER! 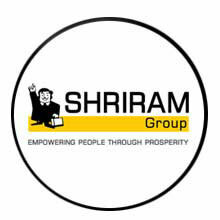 At Shriram Insight, India's leading financial services firm, possibilities are endless and opportunities countless. If YOU are dynamic, willing to share our vision of revolutionising the money market and have the ambition to grow on the fast lane, we at Shriram Insight are waiting to hear from YOU!